Mary J. Blige‘s Capitol Records debut, “The London Sessions,” will include some of her best work, according to her executive producer, Rodney “Darkchild” Jerkins. 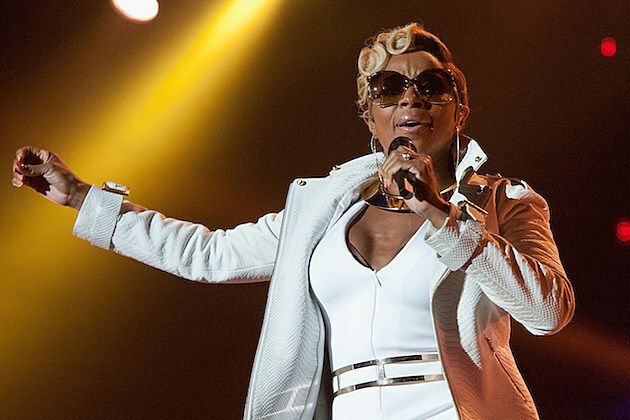 In an interview with Billboard, Jerkins revealed how much Blige evolved while creating the project, which was recorded over the course of in 24 days in London. The hitmaker and songwriter also recalled what inspired Blige to change her sound. “It was the day after Mary and Sam Smith had taped the live video for ‘Stay with Me.’ Steve (Barnett, Capitol chairman/CEO) and I pitched the idea of putting her with the best producers and songwriters in London, including Sam, Emeli Sandé, Disclosure and others,” Jerkins said. “Mary J. Blige: The London Sessions” arrives December 2.